Sunday is the beginning of my adventure through Active New Zealand. They are a first rate company providing guides, accommodations and other logistics for active adventures in New Zealand, South America, and the Himalayas. This started out to be a long day. 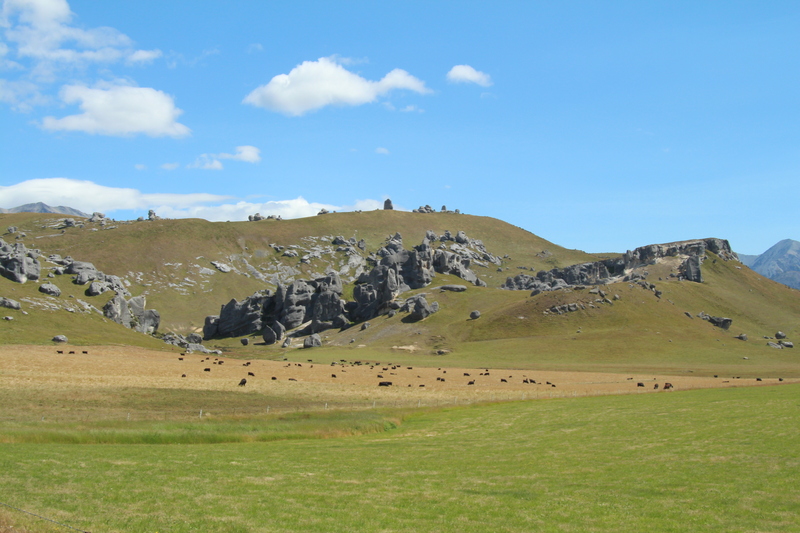 Out first stop was at Kura Tawhiti or Castle Hill. The scenery was extraordinary. 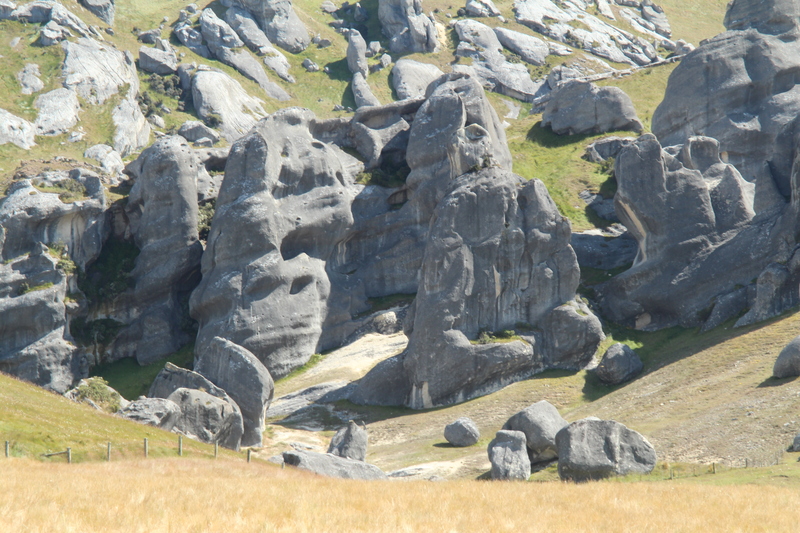 The “Lord of the Rings” was filmed not far from here on private land. The area where we walked and the large folders were once the bottom of a large ocean. After about an hour hike, we drove on to have lunch at Arthur’s Pass and more beautiful scenery. Through the back window of the Chapel, one could see a beautiful waterfall through the forrest background. We hiked a short distance to the waterfall. The water was crystal clear. We drove some more and stopped at the Devil’s Punchbowl. This was another waterfall, but much larger than we had seen so far. We had to hike up a little in the mountain to get a good view. If you stare straight at the waterfall for a little then move your eyes horizontally to the right or left, the mountain looks like it is shifting up, an optical illusion. On our way back down we saw red rocks. They were red because of an algae on them. 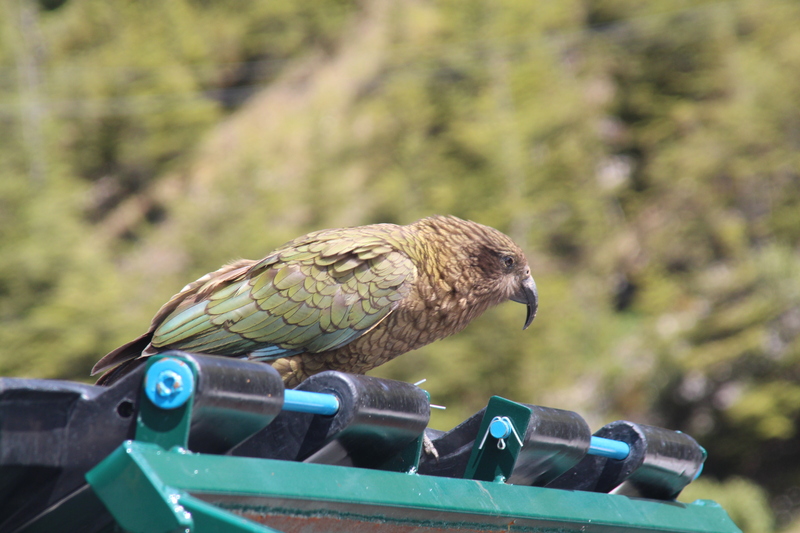 We also saw some wild Kia Parrots. The feathers on their wings were beautiful, but I couldn’t capture a picture of them. The are supposed to be among the top four intelligent animals on the planet. 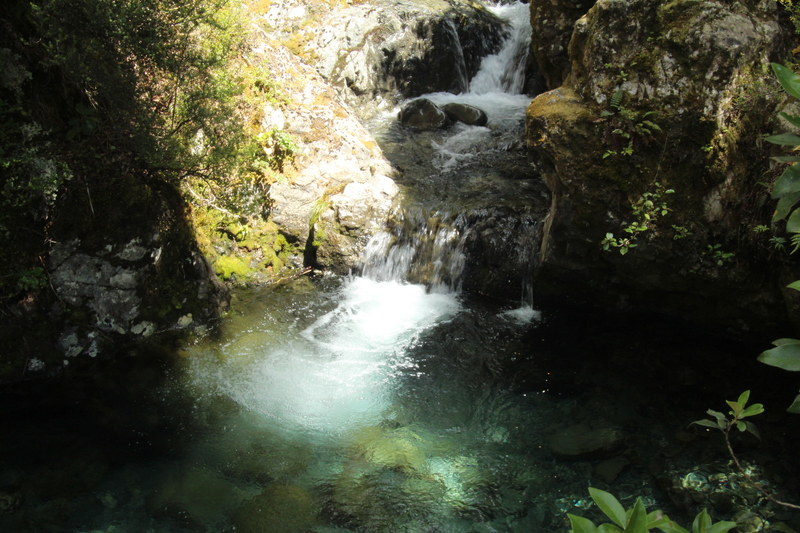 We continued our drive seeing more waterfalls and large river beds with small streams running in them. 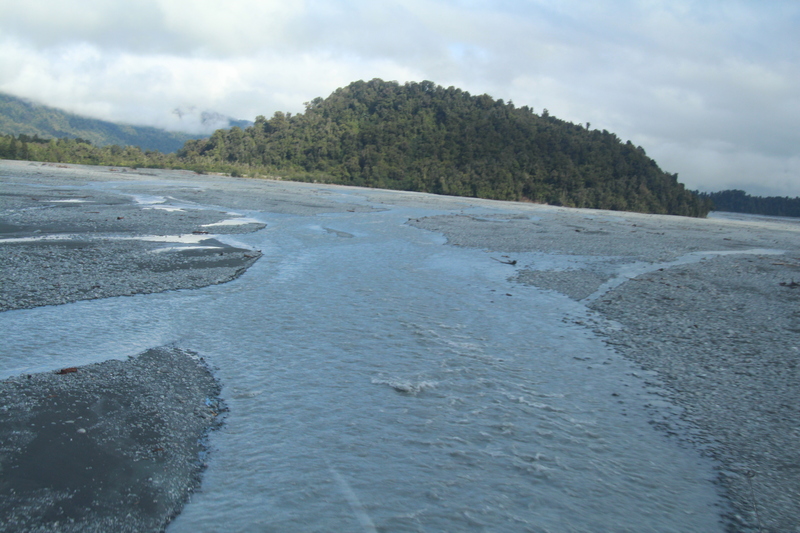 During rains these river beds fill up with water. We are in the middle of summer and most of the snow melt has occurred. 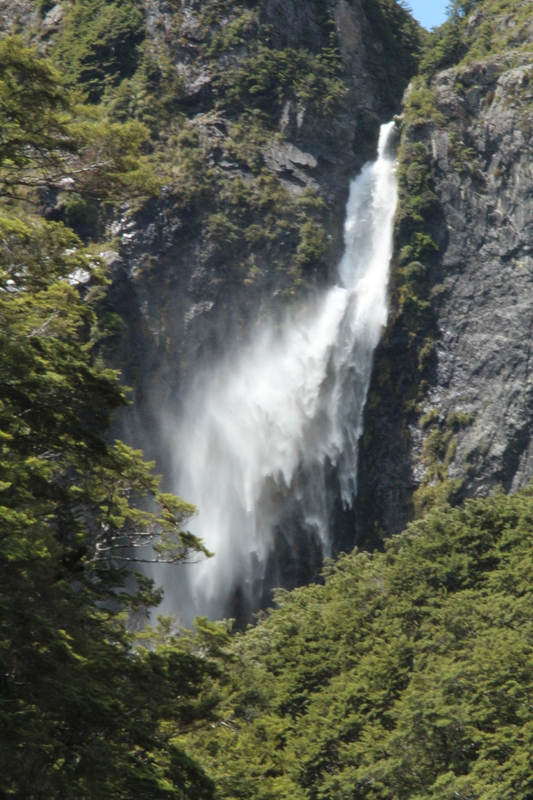 One interesting feature was a water fall along the road that was directed over the road to keep traffic flowing. 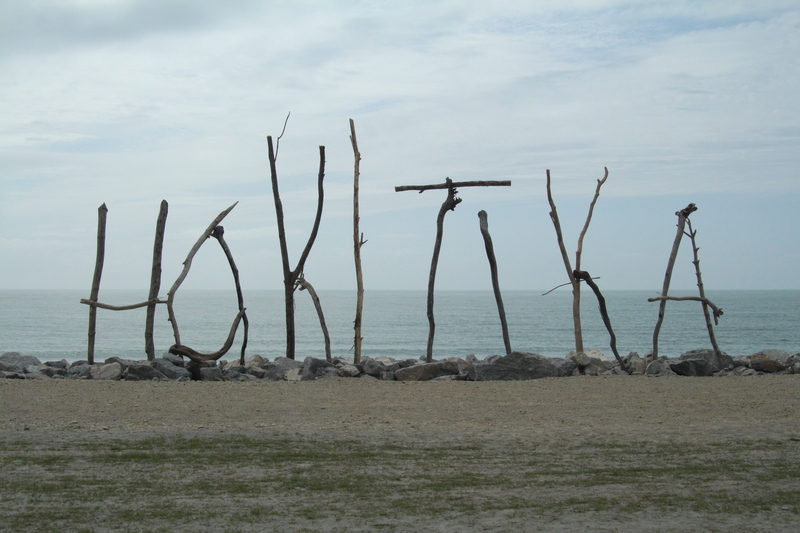 Out last stop before arriving at our accommodations for the night was Hokitika, a small town on the west coast that was nearly deserted. I picked up some green stone (New Zealand Jade) for my wife here. The prices turned out to be the best of any place we visited.